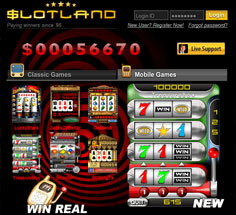 Slotland Mobile Casino is an extension of the unique Slotland Casino. It lets players install special versions of some of the casino’s most popular slots games on their mobile phones. It’s a basic, no-frills system with a simple interface, but it’s all that’s required to fulfill the Slotland’s mission – to let their members enjoy playing mobile slots and mobile video poker for real money, wherever they happen to be! 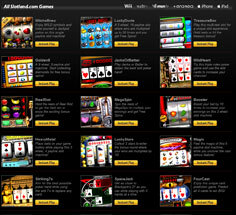 The device compatibility of Slotland Mobile Casino is definitely one of its strong features. 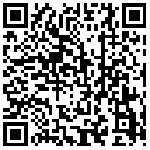 Not only will the Slotland Mobile software install on all Windows and Android powered mobile phones, but it is also available for on Blackberries! Getting started is easy – just visit the Slotland Mobile Casino website from your phone and choose the game you want to play. Each game requires a one-time download which only takes about a minute, then they can be played any time. There are just six games available on Slotland Mobile right now, but they are the best ones from the range of games available at parent Slotland Casino. There are four slots – LuckyStars, Golden8, TreasureBox, and Booster, along with two great video poker titles – JacksOrBetter and Striking7s. The graphics are great for mobile casino games – play them in public, and you will definitely get some jealous looks! Plus, the gameplay is simple, and all the games are easy to use. They’re a great way to enjoy gambling when away from home. Slotland Mobile offers an exclusive 200% welcome bonus for all new player deposits between $10 and $200 on top of an exclusive $30 no deposit bonus for BlackjackChamp.com. Slotland Casino Bonus codes: FREE30JPF. Further deposit bonuses are available each month – these range from 30% to 100%, and are earned just by reading the casino’s newsletter. A special high-roller deposit bonus is added to this – a $100 gift for every deposit of $1000! Also, look forward to weekly drawings, referral bonuses, and more. There’s even a special VIP program for top players! Slotland is generous with their money, so don’t miss out! The games selection at Slotland Mobile is not big– just slots and video poker games are available, and there are only six games in total. What makes Slotland such a great mobile casino, however, is the large array of bonuses they offer. These mobile casino bonuses stretch a player’s money out, making it last longer and giving more chances to win. If you enjoy slots or video poker, you can’t pass this one up!